Bob Burg is my very first repeat guest on the Defining Success Podcast. The first time he was on we talked about his book, the Go Giver (Episode 22). That was over a year ago and he’s back today to talk to us about his new book, Adversaries into Allies: Win People Over Without Manipulation or Coercion. Bob is an expert at influencing people so that it’s a win-win situation for everyone. 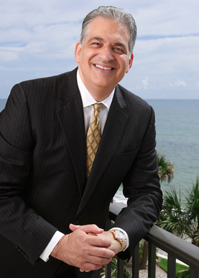 Bob Burg is a sought after speaker at corporate conventions and for entrepreneurial events. He has addressed audiences ranging in size from 50 to 16,000 – sharing the platform with notables including today’s top thought leaders, broadcast personalities, Olympic athletes and political leaders including a former U.S. President. It was a real pleasure talking with Bob again. In his new book, Adversaries into Allies, that is something that really hits home with me. There’s a lot of people that you come into contact with, someone does have decision making power in your life. Having the ability to turn those adversaries into allies is a very important skill to have. And, it is something that can be acquired. One was a manager at a golf course where I was working. When he came in, it was very clear that he was not interested in social media and how social media worked, when I was working for him. Immediately, I saw him as an adversary and I didn’t make any outreach or any effort to try to turn him into an ally. I basically just avoided the situation and that was to my detriment. I learned a very valuable lesson from that: you need to be proactive in turning people who do have that influence and power or who are involved in your life in some way and try to change and correct that to make things better. 80 Bug, she is the one who wrote the theme song for The Defining Success Podcast. When we met, it started as a situation where I could have seen her as an adversary. But, I didn’t. It was because of that situation with that general manager that I decided to act in a different way. She is one of my biggest supporters now, and I’m one of her biggest supporters too. I think she is a phenomenal person who does really great things. That is one thing I think a lot of people need to look at. Nobody out there is intentionally trying to be harmful to other people. It’s usually the perception that people have of how people are interacting with each other that drives them to think that other people are thinking negatively or poorly of them. That’s just something that I think is a powerful idea that Bob has written his book about. It’s an idea that I’m excited I got to share about with all you listeners here on The Defining Success Podcast. Thanks for listening! Now go out there and find your success! Visit Burg.com! You can download Chapter 1 of several of his books for free on the site to see if you like them. This book is one that Bob has really wanted to write for a long time. He says, it’s a message that he wanted to share in a more formal way than he has in the past. At this point most people realize that you can have all the positive success traits. However, unless you can influence others; move people to the appropriate and desired action, obtaining really really huge success is difficult. Bob believes that combining benevolent intent as well as a learned skill set you can really find yourself constantly obtaining both personal and business satisfaction while adding exceptional value to everyone whose life you touch. He calls that ultimate influence. The ability to get the results you want from others while helping people feel genuinely good about themselves, about the situation and about you. It’s about mastering people skills. How often do we see someone who has a lot of those traits we mentioned and they just seem to be passed over, by that person who just seems to have that knack with others. They are likable, attract people to their ideas, and seem to be able to elicit buy-in and agreement from people. He says, we do have to understand that there are people who stand in the way of our personal and business satisfaction, but we need to be able to work with these people in a way that is able to move them from an adversarial situation to one where we’re both working together towards a common goal. It’s being able to take that situation and working it in such a way that both parties feel great about each other, great about themselves, and the situation works itself out so that both people win. It can be long term. It can be short term. There’s a time I was in a parking lot, I wasn’t paying much attention, as I pulled into a parking space I nearly clipped a guy getting out of his car. He reacted with a nasty look, if looks could kill. Rather than let my ego fall into that and allow myself to buy into his frame I smiled and waved through the windshield and mouthed the word sorry. Immediately the guy dropped the look and said, No problem. When you don’t buy into that frame but instead you decide to reset that frame it really can be such a simple matter. It doesn’t mean that’s going to happen everytime, but it happens most of the time. Assuming someone is going to be helpful doesn’t change them, it changes you, and that’s what changes them. When you assume they are going to be the way you want them to be you have gratitude for that and they are tapping into the energy of your gratitude and they feel good about you and because of that they take on that very quality. It’s only when you are in control of yourself and your emotions that you are even in a position to be able to take a potentially negative situation or person and turn it into a win for all involved. We like to think we are logical and to an extent we are. We make major decisions based on emotion and then we back those decisions up with logic. A belief is a subjective truth. It’s a truth as we understand it to be. As human beings we all see the world through our own filter. It’s a combination of every experience we’ve ever had. It’s not conscious. We don’t necessarily need to understand their belief system, but simply be aware of it. Understand that there is a clash, that both of you are most likely coming at this from an entirely different world view. Realize that if this other person is saying or doing something that is not constructive, but is counter productive or hurtful, even to their own good, there’s a good chance their ego has taken over. The ego can be very harmful when it controls us. When we’re in control of our ego we can use it and steer it, utilize it to accomplish great things. We need to know that this person that may be controlled by their ego, know that we’re dealing with something that’s not based on logic, but is ego driven. A frame is simply the foundation from which everything else evolves. In any potentially negative situation, a frame will be set. The only question is, who is going to set that frame? If you allow them to set the frame, it’s just luck. If you set the frame you can do more to evolve the situation into a positive win-win situation. It’s up to you to set the positive frame. Communicating with tact and empathy brings it all home. It’s so important. My dad has always defined tact as the language of strength. People make mistakes, we need to be able to teach. We need to do it in a way where people aren’t sensitive to it and resistant to us but they are open to us. This only happens through tact. Empathy is a way of being able speaking with tact. Do your best to put yourself in this person’s shoes and say, how is this person going to feel if I speak to them like this. These principles work together naturally. The book explains about each of these principles in Chapter 1. Then the rest of the book is just scenarios where people can see themselves in situations (past, current or future) and then they have the words, phrasing, and correct attitude to handle them properly. Sometimes they really are adversaries, other times it’s just situational. Bob picks his parents as the most successful people he knows. They have a successful marriage, a family that adores them, and they are very happy and content with their lives. This entry was posted in Episode 090: Adversaries Into Allies | Bob Burg Best-Selling Author & Convention Speaker and tagged Acknowledge their Ego, Addressing Adversaries, Adversaries, Adversaries into Allies, Bob Burg, Burg.com, Clash of Belief Systems, Control Your Emotions, Defining Success Podcast, Set the Frame, Tact and Empathy, The Go-Giver, Ultimate Influence, Welborn, Zeb, Zeb Welborn on July 10, 2014 by Admin.